Amazon Sponsored Ads work quite well for many businesses and in fact, it can bring in up to 30% of your Amazon sales which is not something you’d want to be missing out. We have been working on Amazon sponsored ads very closely this year and experimenting with various strategies. 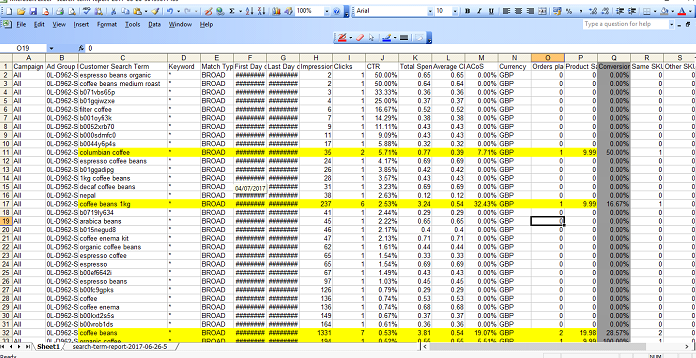 We included a competing product keyword in search terms and the result was positive in terms of generating sales. The screenshot below shows “Columbian organic coffee” in the search terms. 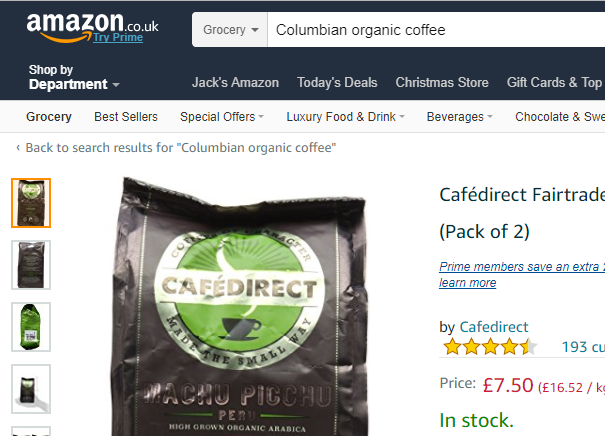 This does not help you rank on the organic search but the second screenshot which is a search term reports shows this product appearing as “sponsored related products.” And the third screenshot shows that we have had sales from this keyword “columbian coffee”. This can be accidental but it is worth experimenting. So, from this experiment, we can conclude that when you are running Sponsored Automated Ads, Amazon reads through your full product content including search terms and displays your product based on relevancy.